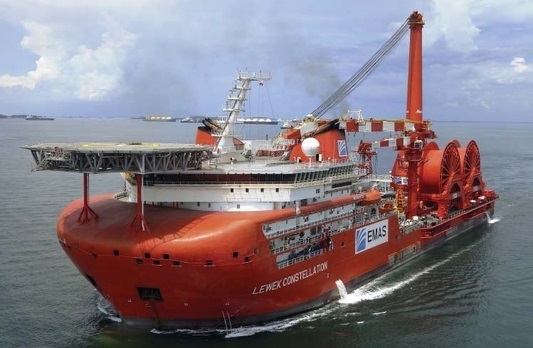 The Singapore’s subsea provider Ezra Holdings and Japanese contractor Chiyoda Corp finalized their joint venture EMAS Chiyoda Subsea. The new joint venture company is equally divided between the two operators and start operations from April 1. EMAS Chiyoda Subsea aims to be a global leader and facilitate involvement in larger ground-breaking subsea construction projects, providing more efficient and quality marine offshore operations. The partners signed memorandum of understanding in August 2015, in which Chiyoda Corp agreed to buy half od the subsea servides of Ezra Holdings and to for joint venture with parity ownership. The total amount of the deal was estimated at 1.25 billion USD. “The formalization of this joint venture with Ezra is a significant step towards strengthening Chiyoda’s offshore upstream portfolio”, said the President and CEO of Chiyoda Corp, Shogo Shibuya. “With our combined expertise and resources, EMAS Chiyoda Subsea is well-positioned to provide services throughout the life-cycle of any offshore oil and gas project. This transaction also demonstrates our commitment towards the future of the subsea business”, added he. Ezra is a leading contractor and provider of integrated offshore solutions to the oil and gas industry. Under the EMAS branding, Ezra operates in more than 16 locations across six continents spanning Africa, the Americas, Asia, Australia and Europe. Chiyoda is a world leading Front End Engineering Design (FEED) and Engineering, Procurement and Construction (EPC) company in the oil and gas industry.